About two weeks ago something very exciting happened for me: I confirmed a 6-month assignment working in Madrid! First of all I’ll give you a bit of background. I’m currently on a 2-year graduate scheme. For anyone who doesn’t know what a “graduate scheme” is, it’s a concept that exists in a number of western countries and it’s basically a job tailored exactly for young people who have just graduated, and who show a lot of potential but don’t yet have the years and years of work experience that most decent jobs require nowadays. A graduate scheme is a great introduction into the world of work, and the company usually gives you plenty of training, development and networking opportunities to bring you up to scratch. This graduate scheme happens to suit me down to a T, as every two months they send us abroad for 3-4 days, each time to a different country. So I get to do one of my most favourite things: travel! So far, since I started the job in September 2012, they’ve sent us lucky graduates to Prague, Dublin and Barcelona, and in July we’re heading to Munich. As you’ll see from my blog post on my Instagram photos from January-March, I always make the most of the trips by staying out for a weekend before or after the workshop I’ve been attending with the graduates, so I can explore the city and get my “travel fix”, as it were. But this is not the only benefit of my particular graduate scheme. Another key aspect of the scheme is that all of us graduates will spend the last 6 months of the 2-year scheme working in another country. What could be more perfect for me? It’s a seriously good opportunity and I simply cannot wait. We have the choice of going to work in Prague, Bratislava, Dublin, Munich, Madrid or Barcelona. (Some of us could even go to South America, but that’s a whole other story). Out of this bunch of countries I knew straight away that my heart lies in Spain, and I had my sights firmly set on Madrid. Now came the tricky part: finding a team in Madrid to accept me. It’s been on my mind for a number of months now and I can finally say with relief that I have found a team that fascinates me and which is happy to have me for my 6-month assignment! Aside from a fleeting 24-hour trip to Madrid a few months ago for work (it was so fleeting that I have no photos of the city whatsoever! ), I haven’t been there since 2010 when a friend and I popped over for a long weekend during a reading week at university. 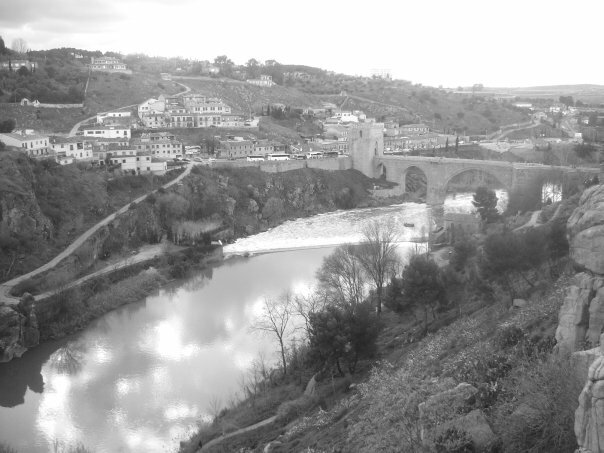 We stayed with a lovely friend of hers, Guada, who showed us around the entire city, took us to her favourite galleries, tapas restaurants and bars to meet her friends, and even to the stunningly romantic medieval city of Toledo one day. Strolling around a city with locals is my absolute favourite way to explore a new place, and it gave me an insight into the authentic Madrid, not just the Madrid the tourists see. So you can see why I fell in love with the city, and I’ve only just scratched the surface… (The photos in this post are poor quality because I didn’t take any myself on the 2010 trip – these have been lovingly “poached” from my friend’s Facebook). 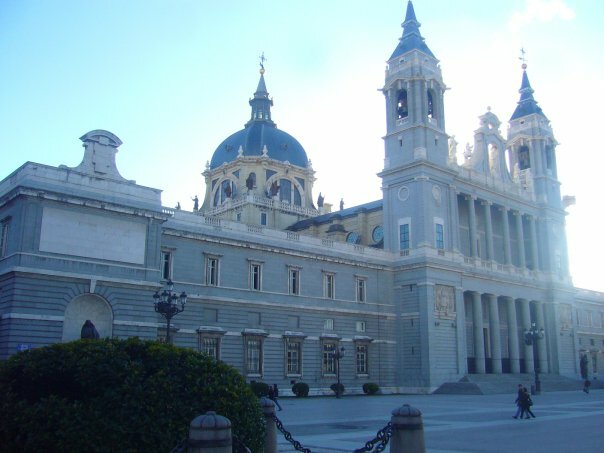 If you’ve been to Madrid, what did you love the most? And if you know of any Madrid-based blogs or bloggers then please tell me! Wow, congratulations!! That’s super exciting. 🙂 What will you be doing in Madrid? 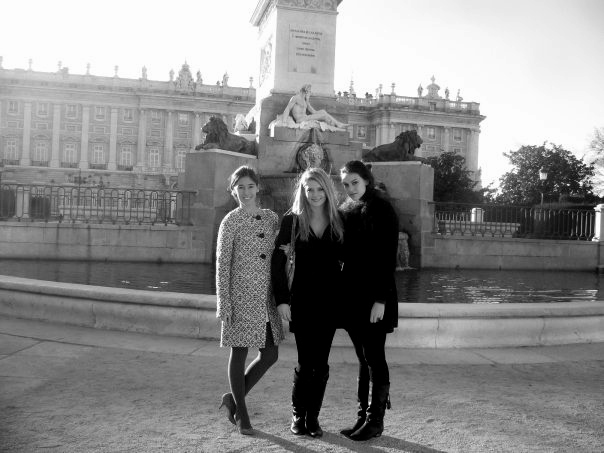 You probably already read Kaley’s blog Y Mucho Más but that’s one of my favorite Madrid blogs. 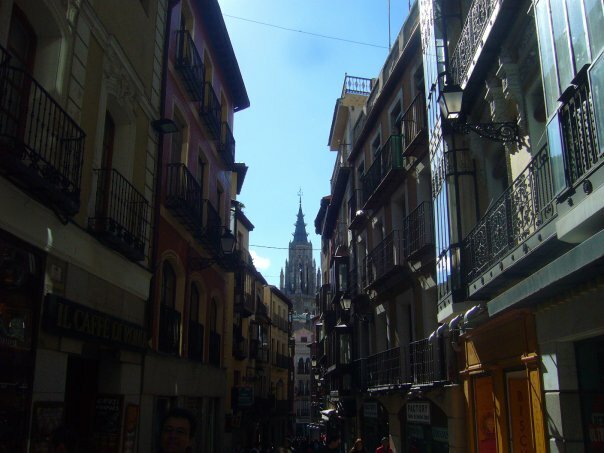 Spanish Sabores is also based in Madrid and the girl who runs it posts about soo many amazing-looking places to eat. Thanks! Ooh I’ll check out those blogs. I’ll be working for the same company I’m at now, just in a different area. Can’t wait! Thank you Gina! Well I’ve actually left university & this is a full-time job, the same as a normal job but with lots of training & opportunities included (living working abroad). From the research I did when I wanted to move to Italy, the concept doesn’t really exist over there… Perhaps in a British/American company with offices in Italy they might offer something similar? Thank you Emilia! And yes, I’ll have a whole new city to explore! I really want to go to Spain to spend my third year abroad in an internship and I’m seriously looking at Madrid! Can I ask what company you are doing your graduate scheme with? The opportunities that you are getting seem fantastic and I love to travel too. This sounds amazing! You’re so lucky to have found such a good graduate scheme that allows you to travel! I’m on the hunt for schemes to apply for now, like Belinda said, are you able to tell us the name of the company you work for? I do consider myself very lucky! I’ll pop it in an email for you, which is what I did for Belinda as well, as I’m trying to keep my blog and my work separate. 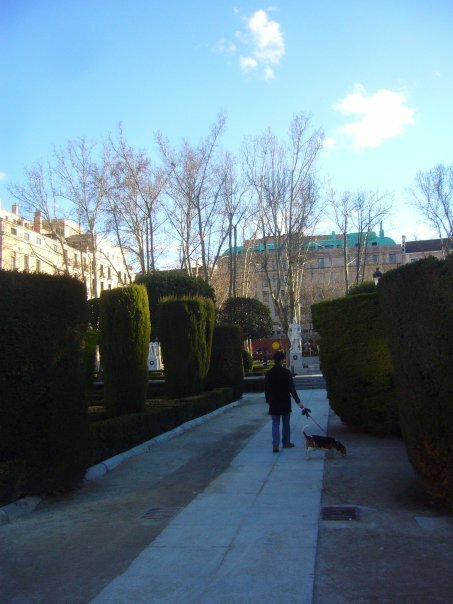 And thank you – I’m sure my blog will become very Spain-focused so hopefully all my readers like Spain! Hey! I just posted on another of our blogs about being an au pair. Could you also email me the name of this company. I love the idea of schemes and learning all different skills/experiences. Not a problem, it should be in your inbox! Congratulations! I wouldn’t mind spending some time in Madrid too, visiting it for few days some time ago it wasn’t enough for me. This sounds absolutely fantastic! Thinking of moving to Spain myself, so will be good to get the lowdown. Your graduate scheme sounds like a dream come true. I’m also studying languages at university and would love to know what company it is that you work for? Is there any chance you could email me ? Hey Virginia, love the blog and general life/work choices you make! I stumbled across your blog looking for information about jobs/internships abroad. Your graduate scheme sounds like a dream (I graduated from a similar degree to yours last year). I see lots of other people have asked you for the name of the company it’s with – would you mind emailing it to me too please? I’ve popped it in an email to you! Hi Virginia! I would love to get the company name in an email 🙂 thanks so much! I find this blog very beautiful and inspiring! Could you send me the name of the company where you work too?